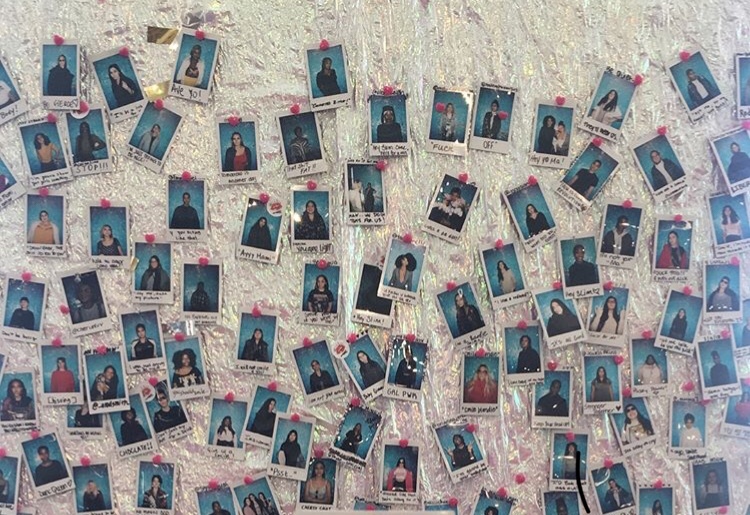 Gurls Talk, in collaboration with Coach and Teen Vogue, set up their space at Industry City with love and glam. Sparkling streamers and golden confetti covered the space and made everyone who walked on their grounds feel red carpet worthy. Along with its glittering set-up, the festival had a line-up of speakers and workshops that would make you clutch your pearls! The speakers ranged from Gurls Talk founder Adwoa Aboah to Zeke Thomas, a brave DJ that shared his experience with sexual assault during a talk on the #MeToo movement. The ground floor had talks on sexual and mental health, along with a powerful poetry slam moderated by Crystal Valentine, where attendees were encouraged to hop on the mic. Speakers on this floor included Fifth Vital Sign, Emilia Ortiz, Tilly Lawless, and Dr. Lauren. 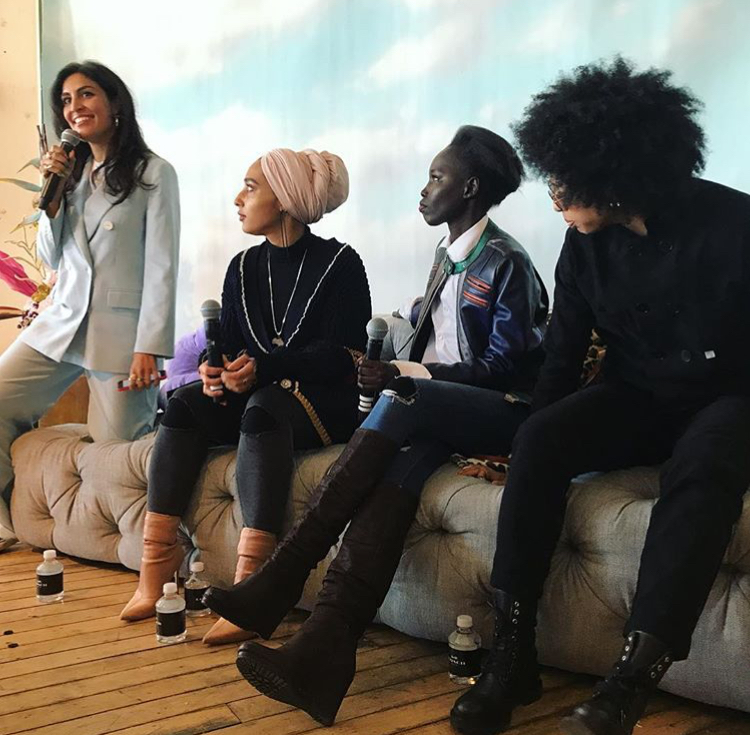 The first floor was a journey all on its own with speakers Professor Green, Io Tillett Wright, Paloma Elsesser, and Teddy Quinlivan. The first talk was a panel on race moderated by Melody Ehsani and panelists Janaya “Future” Khan, Mari Malek, and Mariah Idrissi. Towards the end of the discussion Melody Ehsani asked if they thought racial equality is obtainable in 2018. Founder of Black Lives Matter Canada, Janaya Khan, gave a response that spoke heavily to all of us: “When I think about the question in regards to a time when ‘Make America Great Again’ means making it more bigoted, more racist, more sexist, more misogynist, then the answer is no, but that doesn't mean that we shouldn't keep building and moving as if the impossible were possible, because that’s how movements start.” It was one of two extremely impactful moments of the day. 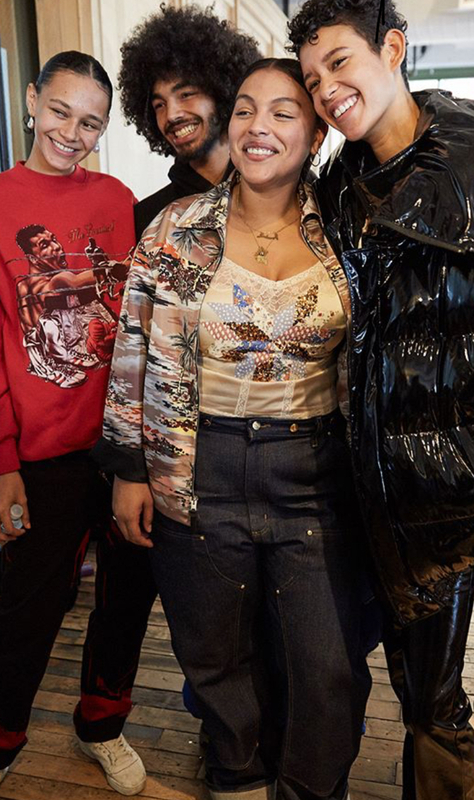 The second came when Paloma Elsesser did her talk on body positivity. Her raw honesty was inspiring, and at the end of her talk she gave everyone a piece of paper where we wrote five things we love about ourselves, excluding the external, and put it in our wallet for safe keeping. I left with my head held high and hope for a future where talks like these happen on the daily.